Breathless, I reach out and high-five four smiling volunteers. Between gasps for air, I thank them for standing on the top of a peak in February to man the summit aid station. I turn and hastily trot down the steep snow steps that fall towards the valley below. Four, maybe five steps later the bottom falls out of the snow and my entire leg disappears, forcing a sort of front flip-back flop that narrowly misses another runner. After regaining a small semblance of control, I stand up, lean down the slope, and descend with reckless abandon. A couple of miles and nearly three thousand vertical feet later I slide into the tented off area that serves as starting line, aid station, checkpoint and finish line for a hare-brained event called Running Up For Air. In only its second official year, Running Up For Air (RUFA) is a pretty strange race. It isn’t too strange that it’s a lap race, or that it has 6-hour, 12-hour and 24-hour divisions. It isn’t even strange that it’s a race up and down a mountain. What is strange is that it is held in February, in the mountains overlooking Salt Lake City, Utah. The event’s creator, Jared Campbell, hatched the idea for RUFA during a particularly nasty February day several years prior. It wasn’t a stormy day or a bitter cold day, it was a red air day in Salt Lake. Jared was training for a big event a few months later and needed to run uphill to get ready. 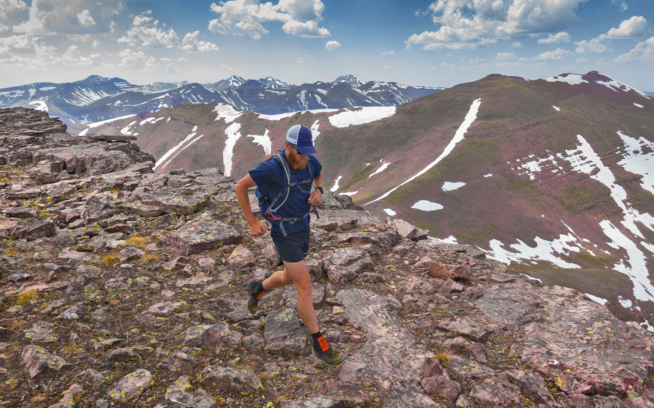 As he had many times before, he ran up Grandeur Peak, quickly leaving the terribly polluted air behind. Standing on the peak, with a clear view of the pollution below, he decided to try and do something to help. 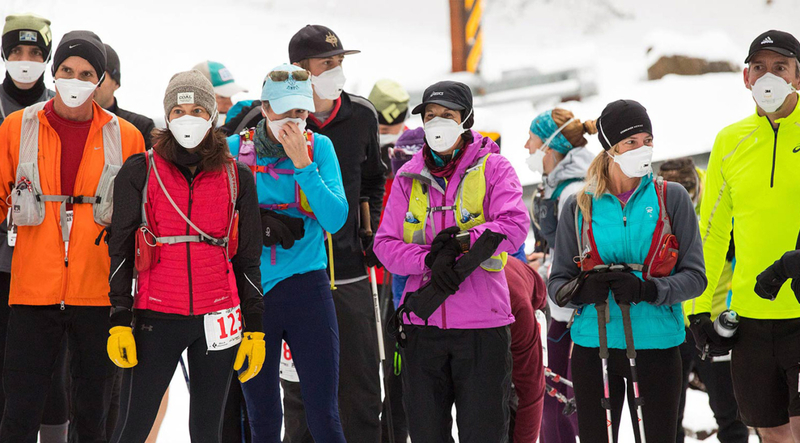 Once back in the smog-filled valley, he made contact with Breathe Utah, a local environmental group that works on air quality issues in Salt Lake. Jared pitched the idea of having people pledge a small donation for each lap he ran on Grandeur Peak, which ascends 3,000 feet in less than three miles from the trailhead. He committed to go up and down the peak for a full 24 hours and the absurdity of the idea worked. A few friends came out and supported Jared as he looped lap after lap on the peak, and raised a modest amount of money for Breathe Utah. As I turned to leave the checkpoint, I caught a glance from Jared. He wasn’t running laps this year; directing the event was taking his complete attention. Different from years past, when we would do several laps together—Jared eventually leaving me behind with machine-like purpose and speed—I was headed out alone. He had charged me with a lofty goal before the event started, so there was no time to linger. It was a couple of hours into the race and there were around a hundred runners spread out over the snow-covered trail. I was out for the six-hour event, and planned on running hard the entire time. Those out for the 24 were keeping the pace cool and sustainable. 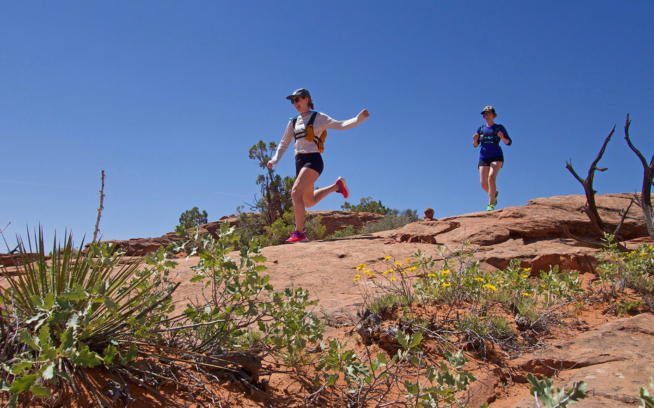 Runners of all types had come out to sacrifice their quads in the name of a good cause. 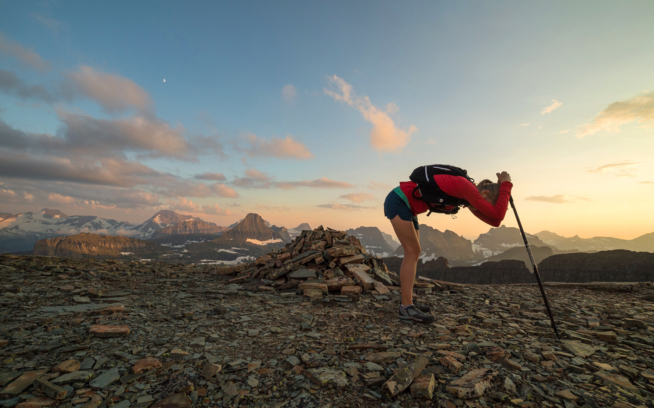 As I ascended, I was constantly caught off guard by the stoke that infected the runners—countless high fives, “good jobs” and “go get its” were expressed as we traveled the now beaten and icy path to Grandeur Peak. A few hours later I screeched into the checkpoint again, quads quivering from the abuse of four laps on Grandeur on legs that had been skiing too much and not running enough. Runners came and went, friends and family had gathered at the base offering encouragement and friendly heckling. I slipped into some warm, dry clothes and transitioned to volunteer mode where I would stay for the remainder of the 24 hours. Somewhere around 4 a.m. the lone remaining runner came in to the checkpoint. He was greeted by bleary-eyed volunteers, blueberry pancakes and bacon as he threw in the towel. Well over 400 laps were run on the peak, somewhere near 1.2 million vertical feet of ascent! So many people had taken time out of very busy lives to offer a gesture of support for the air quality problems of the Salt Lake area. Two days later, as I hobbled around the office in a sleep-deprived state to the jeers of my coworkers, I wondered, “Why did I do that?” Just like asking someone why they climb or why they run the answer is not simple. Often, as we set out to conquer the useless, we do it out of love or “because it’s there.” But this particular event? We did it because it makes a difference. The money raised by Running Up For Air will be used to lobby decision makers and educate the public about what they can do to help make the air they breathe less toxic. More often than not, the policies that affect us the most are made by local leaders in our local communities. Groups like Breathe Utah are the boots on the ground. They need our help and our support more than ever. And while I am not rich, nor do I have a ton of free time, I am more than happy to donate my quads in an effort to make the planet a better, healthier place to live.